Associated Press photographer Laurent Cipriani has been covering the Tour de France since 2011, taking hundreds of pictures to tell the story of cycling's biggest race. Besides the sporting highlights of the ultimate endurance event, Cipriani has spent weeks taking photos of the millions of fans lining the roads every year in the sizzling heat of the French summer. 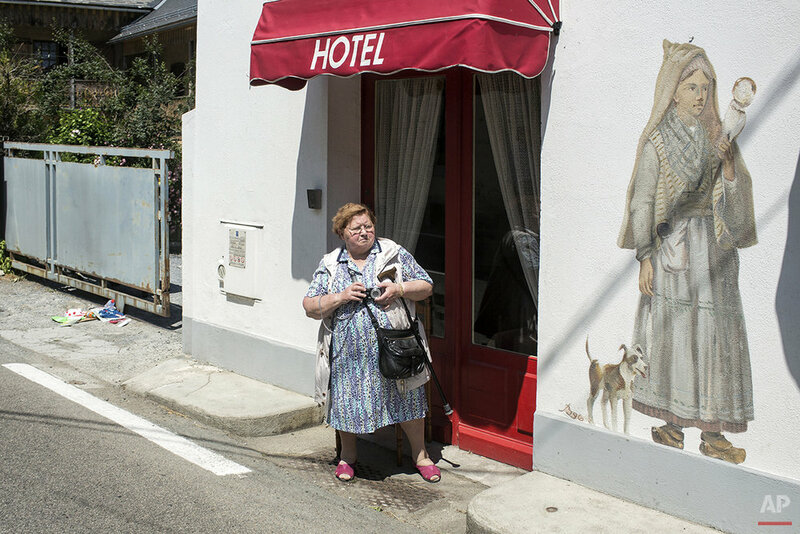 These fans are not always in the crowds dangerously pressing in on the cyclists as they pass by — but solitary figures or couples quietly waiting outside their village homes, shops and garages, before briefly becoming part of the global race in their own rural setting. On the passenger seat of a press motorbike, Cipriani started shooting fans in 2013, when Tour organizers celebrated the 100th edition of the race. His purpose was to draw a "portrait of France" through fans from all origins who have contributed to make the Tour not only one of the biggest sporting competitions, but also a cultural event. "Spectators become actors, they write their own story, the story of an ephemeral world in which we are the spectators," Cipriani said. The photos show a snapshot of Cipriani's work. Text from AP news story, AP PHOTOS: Photographer gives Tour de France fans a face.